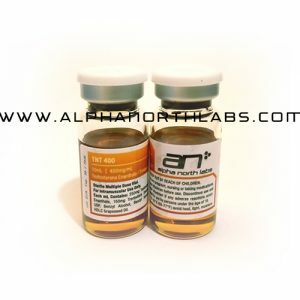 Testosterone Propionate 10ml – 100mg/ml is a fast acting ester of testosterone. It tends to cause less bloating estrogen related side effect than other tesotosterones and due to the fact that the testosterone is bonded to a short ester chain means more actual testosterone per mg of the drug. The downside of course is more frequent shots. If you are looking to do some test but not look all that bloated and don’t mind sticking yourself more often then you will love prop. The downside is the same as with all testosterone products. This will aromatize although not as bad as other testosterone esters. So estrogen related side efffects. Bloating, gynecomastia, high blood pressure. Aggression and irritability if you are prone as it is highly androgenic. It will also cause your testicular axis to shut down. You will require to do PCT when coming off to re-establish your natural testosterone. We do not suggest any testosterone for women. Test is highly androgenic and will cause virilization easily. So male body hair growth, deepening of the voice, clitoral enlargement, etc. Irreversible and not what most women are looking for. We suggest using other less androgenic drugs.